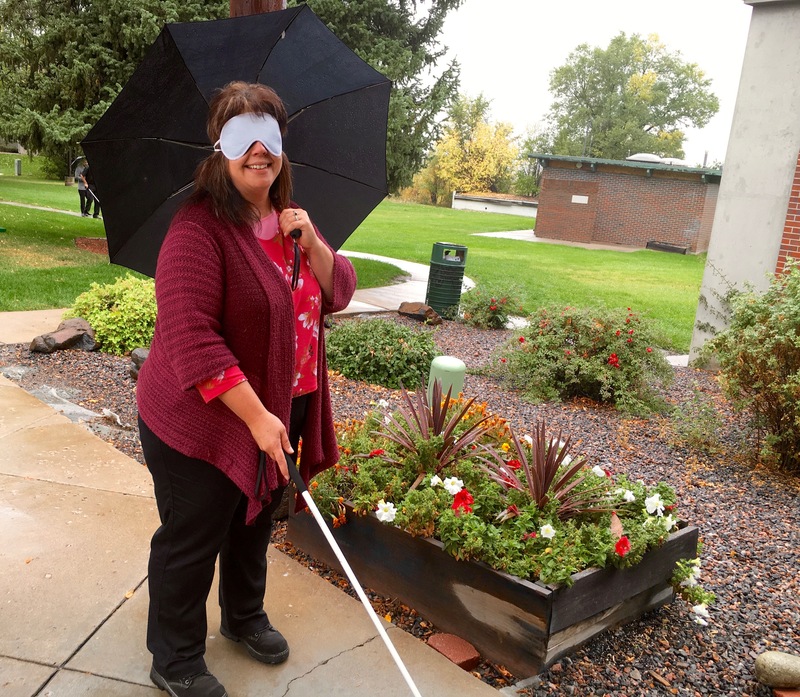 We were delighted to host six staff members from the Wyoming Independent Living (WIL) Visually Impaired Program (VIP), which provides services for Older individuals who are Blind across Wyoming for a two-day professional training on blindness. 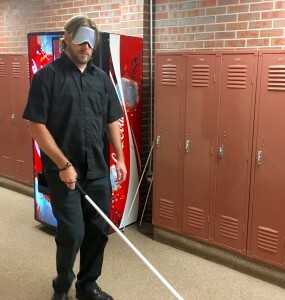 Duncan, Wayne, Anahit and Petr gave a thorough overview of blindness and aging, as well as technology, Braille, cane travel and cooking – all of it under sleep shades. WIL has offices across the state, and this group represented all four courners of our neighbor to the north –including Laramie, Gillette, Wheatland, Casper and Cheyenne. Every one of them is a good hand, and blind seniors in the far0-flung corners of the Cowboy State are lucky to work with any one of them. “This was a very committed and engaged group,” said Duncan. 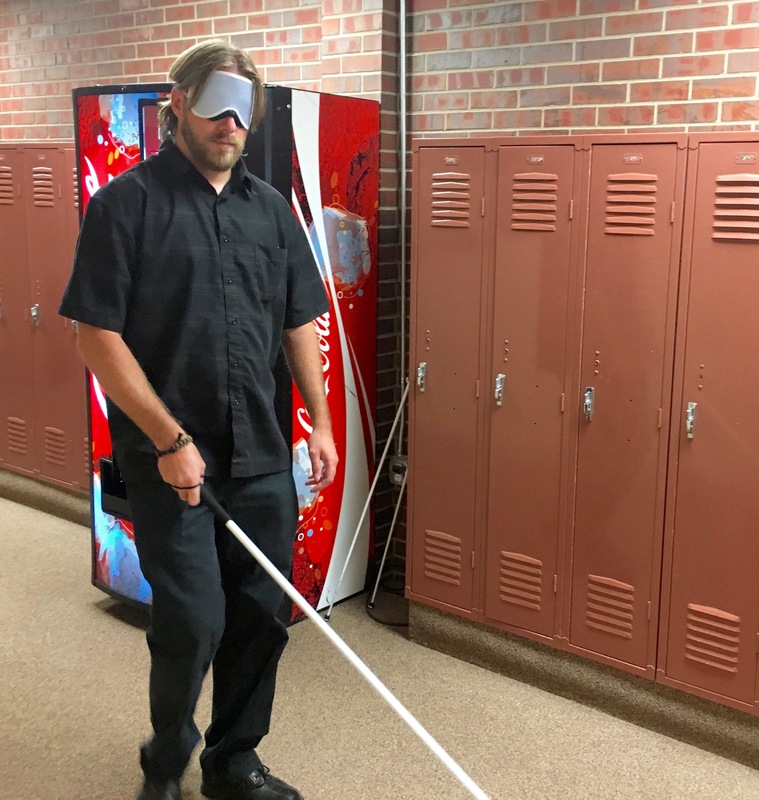 The Center’s Senior Services staff coordinates and presents our Training for Professionals on Blindness and training sessions can be customized for each group. Thank you again for a wonderful training experience.